Match ends, Atalanta 0, Torino 1. 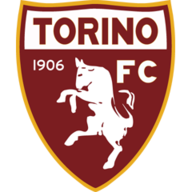 Second Half ends, Atalanta 0, Torino 1. Attempt missed. Afriyie Acquah (Torino) right footed shot from outside the box is high and wide to the right. Assisted by Alessandro Gazzi. Foul by Germán Denis (Atalanta). Kamil Glik (Torino) wins a free kick in the defensive half. Corner, Atalanta. Conceded by Emiliano Moretti. Substitution, Torino. Josef Martinez replaces Andrea Belotti. Foul by Gabriel Paletta (Atalanta). Andrea Belotti (Torino) wins a free kick on the right wing. Attempt missed. Germán Denis (Atalanta) header from the centre of the box misses to the left. Assisted by Maximiliano Moralez with a cross. Offside, Torino. Maxi López tries a through ball, but Andrea Belotti is caught offside. Substitution, Torino. Alessandro Gazzi replaces Daniele Baselli. Marco D'Alessandro (Atalanta) wins a free kick on the right wing. Foul by Cristian Molinaro (Torino). Foul by Cristian Raimondi (Atalanta). Cristian Raimondi (Atalanta) wins a free kick in the defensive half. Substitution, Torino. Maxi López replaces Fabio Quagliarella. Attempt missed. Andrea Belotti (Torino) right footed shot from the centre of the box is high and wide to the right. Assisted by Cesare Bovo. Substitution, Atalanta. Marco D'Alessandro replaces Andrea Masiello. Alejandro Gomez (Atalanta) wins a free kick on the left wing. Foul by Cesare Bovo (Torino). Carlos Carmona (Atalanta) wins a free kick on the left wing. Foul by Afriyie Acquah (Torino). Attempt missed. Cristian Raimondi (Atalanta) header from the centre of the box is close, but misses to the right. Assisted by Alejandro Gomez with a cross following a corner. Corner, Atalanta. Conceded by Kamil Glik. Corner, Atalanta. Conceded by Cristian Molinaro. Maximiliano Moralez (Atalanta) wins a free kick in the attacking half. Cristian Raimondi (Atalanta) wins a free kick in the attacking half. Dangerous play by Cesare Bovo (Torino). Attempt missed. Afriyie Acquah (Torino) right footed shot from the right side of the box is high and wide to the right. Offside, Torino. Afriyie Acquah tries a through ball, but Fabio Quagliarella is caught offside. Foul by Carlos Carmona (Atalanta). Andrea Belotti (Torino) wins a free kick in the defensive half. Andrea Belotti (Torino) hits the right post with a left footed shot from the centre of the box. Assisted by Fabio Quagliarella. Attempt missed. Germán Denis (Atalanta) left footed shot from the left side of the box is close, but misses to the left. Assisted by Maximiliano Moralez. Substitution, Atalanta. Cristian Raimondi replaces Luca Cigarini. Attempt blocked. Alejandro Gomez (Atalanta) right footed shot from outside the box is blocked. Assisted by Maximiliano Moralez. Attempt missed. Marten de Roon (Atalanta) right footed shot from more than 35 yards is too high. Foul by Emiliano Moretti (Torino). Attempt blocked. Giuseppe Vives (Torino) right footed shot from the left side of the box is blocked. Assisted by Andrea Belotti. Gabriel Paletta (Atalanta) wins a free kick in the defensive half. Foul by Fabio Quagliarella (Torino). Guglielmo Stendardo (Atalanta) is shown the yellow card for a bad foul. Foul by Guglielmo Stendardo (Atalanta). Andrea Belotti (Torino) wins a free kick in the attacking half. Delay in match Afriyie Acquah (Torino) because of an injury. Offside, Atalanta. Alejandro Gomez tries a through ball, but Gabriel Paletta is caught offside. Attempt blocked. Luca Cigarini (Atalanta) right footed shot from outside the box is blocked. Attempt blocked. Davide Brivio (Atalanta) left footed shot from outside the box is blocked. Marten de Roon (Atalanta) wins a free kick in the defensive half. Substitution, Atalanta. Davide Brivio replaces Gianpaolo Bellini because of an injury. Delay in match Gianpaolo Bellini (Atalanta) because of an injury. Goal! Atalanta 0, Torino 1. Cesare Bovo (Torino) right footed shot from the centre of the box to the centre of the goal. Assisted by Daniele Baselli with a cross following a corner. Corner, Torino. Conceded by Guglielmo Stendardo. Attempt blocked. Fabio Quagliarella (Torino) right footed shot from outside the box is blocked. Assisted by Giuseppe Vives. Corner, Atalanta. Conceded by Bruno Peres. 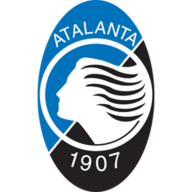 Second Half begins Atalanta 0, Torino 0. First Half ends, Atalanta 0, Torino 0. Attempt blocked. Luca Cigarini (Atalanta) header from the centre of the box is blocked. Assisted by Andrea Masiello with a cross. Attempt blocked. Germán Denis (Atalanta) right footed shot from outside the box is blocked. Assisted by Maximiliano Moralez. Germán Denis (Atalanta) wins a free kick in the attacking half. Foul by Kamil Glik (Torino). Dangerous play by Gianpaolo Bellini (Atalanta). Andrea Belotti (Torino) hits the bar with a header from very close range. Assisted by Cristian Molinaro with a headed pass. Attempt missed. Germán Denis (Atalanta) header from the centre of the box misses to the left. Assisted by Maximiliano Moralez with a cross following a corner. Attempt saved. Marten de Roon (Atalanta) right footed shot from outside the box is saved in the bottom right corner. Assisted by Luca Cigarini. Offside, Torino. Giuseppe Vives tries a through ball, but Fabio Quagliarella is caught offside. Foul by Luca Cigarini (Atalanta). Guglielmo Stendardo (Atalanta) wins a free kick in the defensive half. Fabio Quagliarella (Torino) wins a free kick in the defensive half. Carlos Carmona (Atalanta) wins a free kick in the attacking half. Foul by Giuseppe Vives (Torino). Luca Cigarini (Atalanta) wins a free kick in the defensive half. Foul by Andrea Belotti (Torino). Marten de Roon (Atalanta) is shown the yellow card for a bad foul. Delay in match Cristian Molinaro (Torino) because of an injury. Attempt missed. Alejandro Gomez (Atalanta) right footed shot from the left side of the box misses to the right. Assisted by Germán Denis with a headed pass. Giuseppe Vives (Torino) wins a free kick in the attacking half. Attempt blocked. Luca Cigarini (Atalanta) left footed shot from the centre of the box is blocked. Attempt saved. Andrea Belotti (Torino) right footed shot from outside the box is saved in the bottom left corner. Assisted by Daniele Baselli. Attempt missed. Alejandro Gomez (Atalanta) left footed shot from outside the box misses to the right. Assisted by Maximiliano Moralez. Giuseppe Vives (Torino) wins a free kick in the defensive half. Cristian Molinaro (Torino) wins a free kick on the left wing. Attempt blocked. Andrea Belotti (Torino) right footed shot from the centre of the box is blocked. Assisted by Daniele Baselli with a cross. Corner, Torino. Conceded by Gabriel Paletta. Fabio Quagliarella (Torino) wins a free kick in the attacking half. Attempt blocked. Maximiliano Moralez (Atalanta) right footed shot from outside the box is blocked. Luca Cigarini (Atalanta) wins a free kick in the attacking half. Giuseppe Vives (Torino) is shown the yellow card for a bad foul. Hand ball by Fabio Quagliarella (Torino). Attempt blocked. Afriyie Acquah (Torino) right footed shot from the right side of the box is blocked. Assisted by Cristian Molinaro with a cross. Attempt blocked. Giuseppe Vives (Torino) right footed shot from the centre of the box is blocked. Assisted by Afriyie Acquah with a cross. Maximiliano Moralez (Atalanta) wins a free kick on the right wing. Corner, Atalanta. Conceded by Daniele Padelli. Offside, Torino. Daniele Baselli tries a through ball, but Cristian Molinaro is caught offside. Attempt blocked. Fabio Quagliarella (Torino) right footed shot from the centre of the box is blocked. Attempt saved. Andrea Belotti (Torino) right footed shot from the centre of the box is saved in the bottom left corner. Assisted by Giuseppe Vives. Corner, Atalanta. Conceded by Afriyie Acquah.